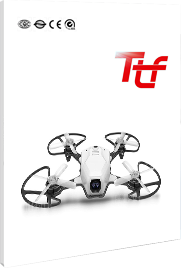 T2 professional heavy payload rc quadcopter drone is an upgraded and multi-function drone with various payloads and of high security. Featuring standard “plug-in design,” the drone has a universal mount device. Interchangeable mounts can be installed quickly and easily to change the function of the drone, simply by plugging them in. It can be applied across various fields. Using commercial drone T2 with different payloads，users can finish industrial inspections, power line stringing, mapping, firefighting and etc. The airframe of T2 industrial aerial drones is made of lightweight materials, such as carbon fiber and aircraft-grade aluminum. It is sealed tight to protect the power system from fire, water, and dust, which makes the drone meet the demand of three proofing: fire-proof, rainproof and dust-proof. T2 industrial grade drones use the flight controller, a flight controller researched and developed by MMC, which ensures stable, flexible and reliable flight. Besides, double GPS modules are assembled on the drone to ensure an uninterrupted satellite signal when the drone flies in the air. What’s more, the automatic safety kill switch and the retractable landing gear are newly designed to upgrade the flight performance. aerial mapping drone's payload modules are available for the drone T2. LIDAR and other payloads provide precisely the right tool for applications in inspection, surveying, and mapping, etc. The mount can be customized to accommodate unique enterprise requirements. Quick to attach and quick to remove, these plug-and-play modules allow for the drone T2 to be immediately configured to meet the needs of any mission. The T2 is ideal for lifting heavy payloads, with a maximum carrying capacity of 7kg, while maintaining stable flight and an ample power reserve for maneuvering, even in windy conditions. This capacity means that the T2 is able to meet the needs of the most demanding industrial user. *The Flight parameters are for reference only. Different natural conditions may affect the actual flight situation. *The Transmission Range may be influenced by varied conditions. Choose open area without high buildings as the flight area.